When I know life is going to get crazy, I like to try and prep as many snacks ahead of time as possible. If last week was any indication of things to come, this week will be a very long one so I decided to make a few snacks to get me through. I made another batch of blueberry honey scones (a riff on my apricot scones from a few weeks ago) to thaw for breakfasts, I chopped a bunch of fruit for quick juicy treats, and made a big batch of my all time favorite snack: beer marinated beef jerky. This stuff is insanely good. Chewy and peppery, filling and portable. For this batch, I decided to make it a bit more Hawaii and used Kona Brewing Co’s Fire Rock IPA and Aloha brand Shoyu (soy sauce). I love to take recipes that I have made for a long time and update them for my Hawaii life. This beef jerky was made in my food dehydrator but I have made it in the oven many times. I even change the marinade to suit my mood! With those kinds of options, this is the perfect food for my new hectic airline life! Before I go too far and make it seem like I have been completely run ragged and having no fun, I should make it clear that my job can be fun. 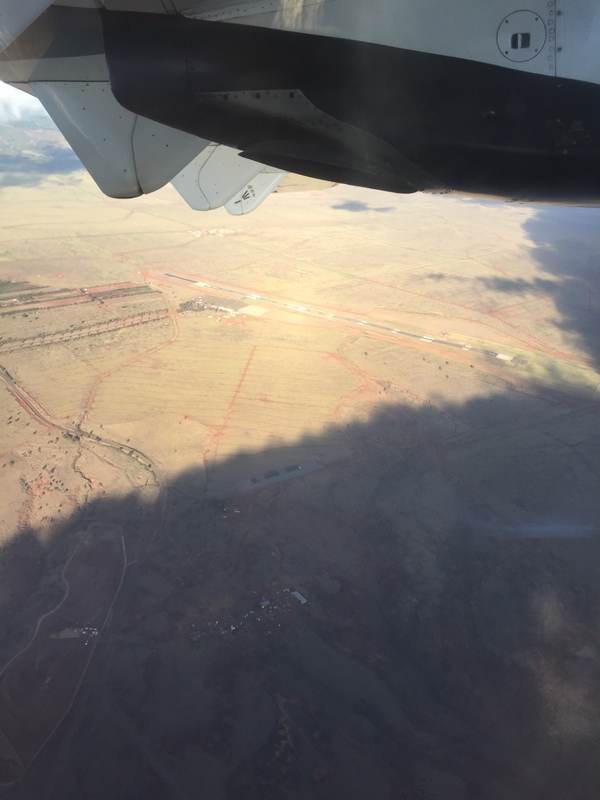 Yes, it is a lot of long hours but, some days, I have a pretty great commute to work – last week, I hopped on one of our planes and flew to Lana’i to work there for the day. Pretty awesome,right!? I had never actually been there before. 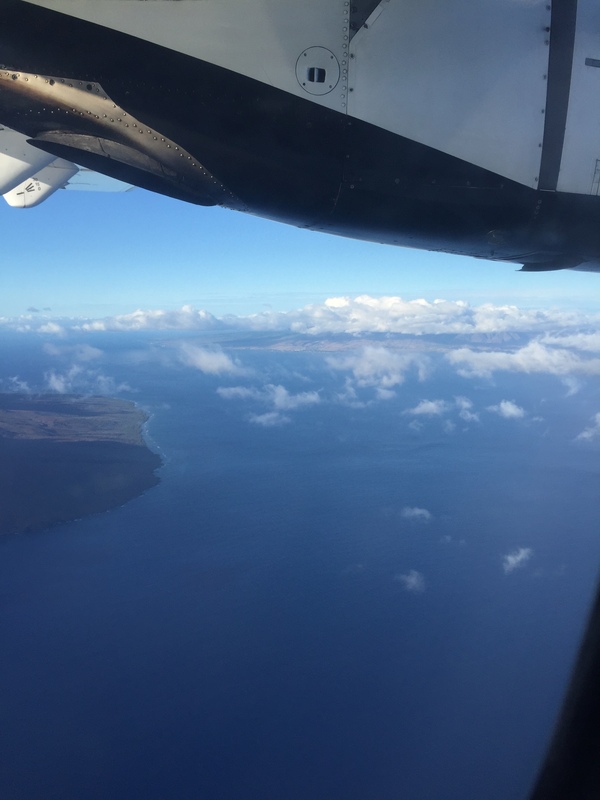 Of all the main Hawaiian Islands, Lana’i and Moloka’i were the only ones I hadn’t seen. Lana’i was far more interesting than I anticipated. I thought it was a dry, boring island covered in pineapple fields and pretty much nothing else. Since it has only 3,000 residents and the resorts are closed for renovation, not much has been going on there lately. It turns out, the island is so gorgeous, it really doesn’t need anybody around to make it interesting. The town, Lana’i City (this being a very loose usage of the word city! ), is built into the side of small mountain and filled with tiny restaurants and towering Norfolk Pines. I can’t wait to explore more! Though, next time, I will bring lunch since the airport doesn’t even have a vending machine! Now, I just have to go to visit my friends on Moloka’i to finish off all the islands! I’ll make sure to bring a bunch of jerky to fuel my next adventure.